I loved this: " I can't help but think that sharing this information with students will help them become more invested in their learning and help them set goals that are meaningful for them. " This is the missing element, isn't it? The transparency that allows kids insight into how we assess what they can do and where we see learning gaps. It's so important to share this knowledge with them! I'm tussling with digital portfolios, too - determined to create these in the new school year. I'm with Tara too -- that's the line that struck me. 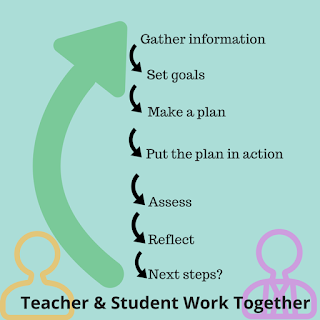 I've been thinking more about this as well, wondering how I can empower students to know where they are as a learner, set goals, and work together to reach those goals. You are so right when you say that I use that important assessment information, but students have no idea!?! Digital portfolios can help with this too, I believe. Thanks for sharing the questions to talk about with students as well. Helpful! Thanks for joining in the #cyberPD conversations again this year! Your thoughts and questions continue to push my learning -- and it is appreciated! Enjoyed your reflection, Julie. I have always thought that we should demystify the learning process for students. Empowering students to know themselves as learners is powerful. I couldn't agree more; I am constantly gathering information about my students from a variety of assessments (both formal and informal.) What is missing is me sharing that information with my kids and having them do more self-reflecting, goal setting, and having more of a voice in what THEY feel they need to learn next. Thank you for that reminder! You have such smart points here. When we truly get this student ownership piece figured out, we'll be on the way. I'm always amazing when I talk with first graders as they seem to be on base with their reflections of their learning. They know what's hard and where they've improved. They also know what they need next. These conversations are shaped across time through smart questioning (like those you've shared above - thanks) and returning to student work. I'm looking forward to new possibilities in the year to come. 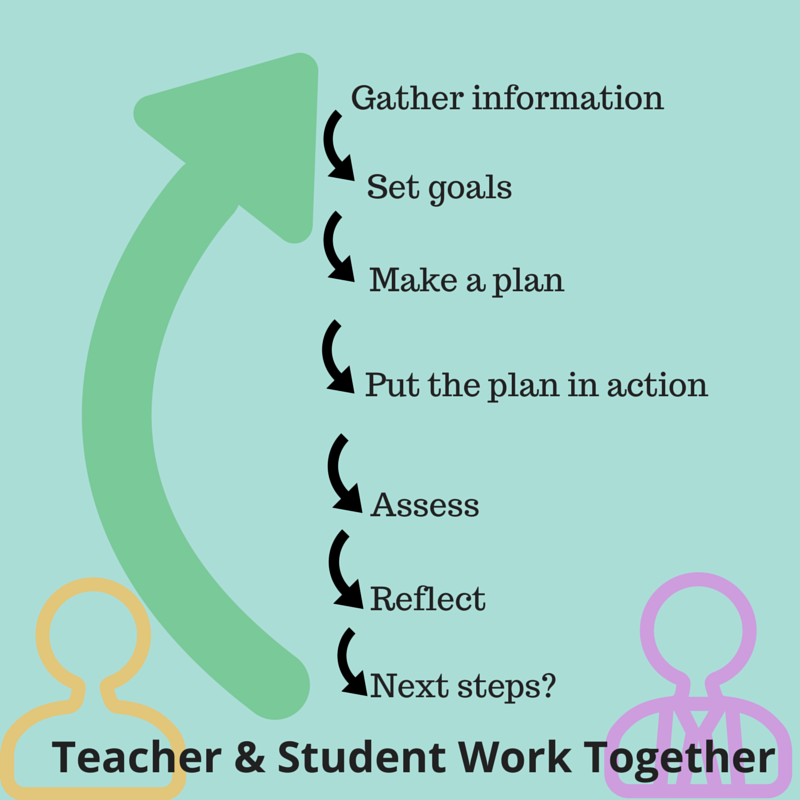 I love what you say about a teacher-student partnership about assessment! I think we can get wrapped up in how assessment is used to determine "teacher effectiveness" so we need to refocus. I get frustrated when I hear a colleague complain that a student didn't get this or that and they put the blame on the student. I look at it as "if a student didn't perform well on an assessment, then what should I do differently to help them." Taking that a step further to consider it a partnership is perfect.